Blake Jordan is a multi-talented artist and an ardent supporter of DrawBridge and its art programs for homeless and other underserved children. He has raised awareness of DrawBridge through donations, volunteering at art groups, and hosting fundraising events. Blake has a deep understanding of the organization’s mission and the power of expressive art. “Growing up, I was a self taught artist. This was not by choice, but due to the lack of arts program for those too young to attend college. I know first-hand the experience of using art as a way to cope. Drawbridge reminds me of my childhood, and now I do everything I can to give these children support. It has been an amazing experience being a part of what Drawbridge represents, and I look forward to continuing to make a positive impact in our local community. Besides being a DecoColor and Initium Eyewear artist, Blake paints fantastical images on wine bottles (blakejordanart.com). He donates a portion of his art sales to DrawBridge, as well as planning and hosting fundraising events. 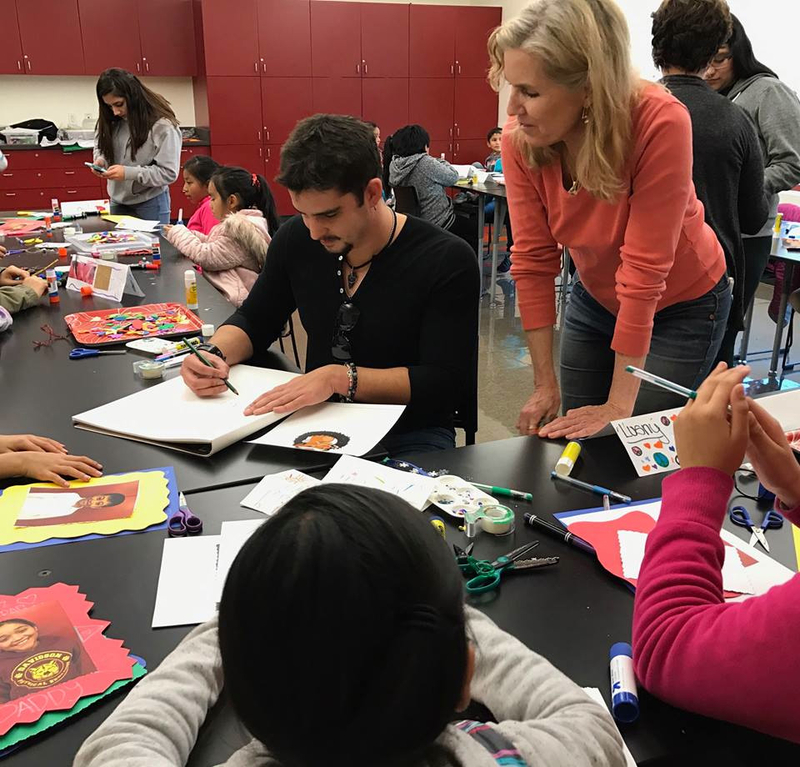 He recently visited one of the San Rafael DrawBridge groups, and shared his love of art with 12 appreciative young participants. And so he does! If you’d like to inspire DrawBridge kids as well, please visit drawbridge.org/volunteer or contact Program Manager Tabitha Thomas, Tabitha@drawbridge.org.